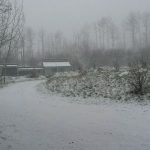 In my early days of back-to-back cross-country road trips, my knowledge of photography was lacking, and my equipment was limited to a subpar cell phone camera. I have since learned the value of a good DSLR or mirrorless camera, as well as the versatility of a drone in capturing travel related photos. Still, I look back on my old road trip pictures with a nostalgia that’s due in small part to their lower quality. It reminds me more vividly where I was and what I was doing in those captured moments. Sentimentality aside, I wish I’d had my current equipment at my next memorable stops. I was doing reasonably well on time, mostly because I would finish seeing everything that I wanted to see at each stop in less than a day. So with a little extra time freed up, I headed North East to a place in which I had always been intrigued. The Salton Sea. Formerly known as Lake Cahuilla, flooding caused by run-off from the Colorado River during a canal breach created The Salton Sea. In the 1950’s it was a premier boat racing and regatta venue. Because of the water’s buoyancy, due to high salinity, and because the lake was over 200 feet below sea level, boat racers found The Salton Sea ideal for competing. The water was stocked with various types of game fish to bring in anglers, and water skiing was a favorite past-time. Marinas were built, drawing celebrities to what would become a getaway for the rich and famous. 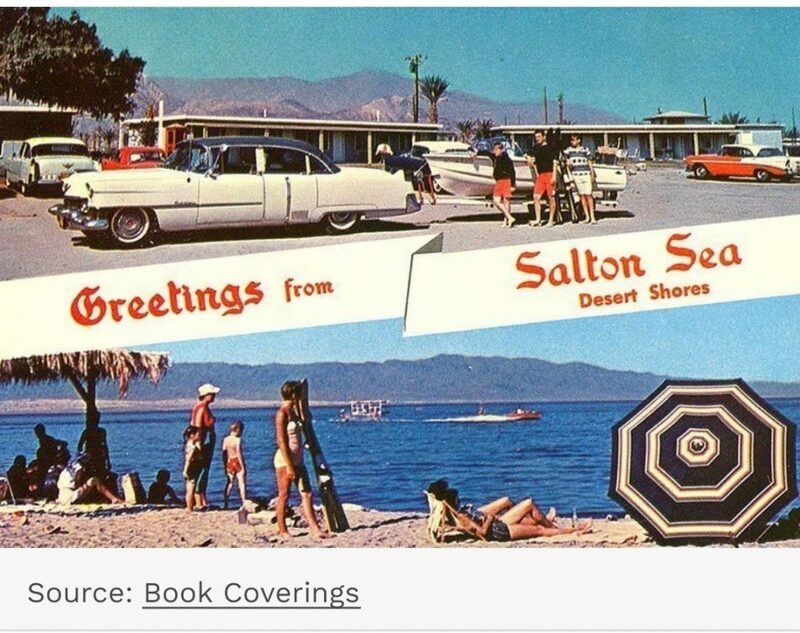 The tourism boom of the 1950’s fizzled out in the 60’s, and by the time tropical storms leveled the marinas and resorts in 1976/77, The Salton Sea was primarily residential. Shorelines receded, and salinity levels rose. Only the wildlife that could survive such harsh conditions remained. The area is now a post-apocalyptic wasteland, which is precisely what I was there to see. One aspect that makes The Salton Sea a favorite weird place to visit is the sand that isn’t actually sand. The high level of salt in the water makes it almost impossible for fish to inhabit long term, so when they die they wash ashore and decompose into brittle skeletons. Those skeletons, along with dead barnacles, are eventually broken down into what looks like pure white sand from a distance. I didn’t know about this phenomenon until I had walked along the beach for several minutes listening to the crunching sound under my feet. The skeletal, abandon buildings still show their history in the resort industry. 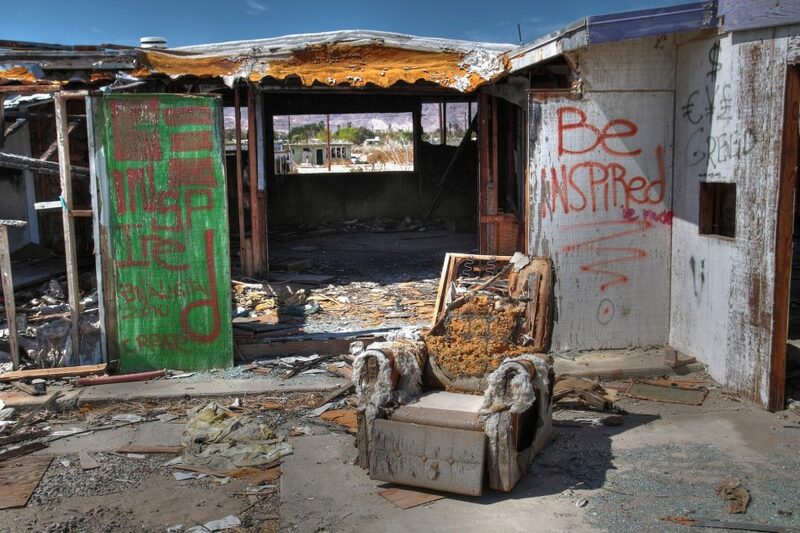 Old, whithered beams hold up shattered roofs, and the grounds are littered with trash and rotting furniture. I could feel the fragility of what The Salton Sea had been and how this could happen anywhere. 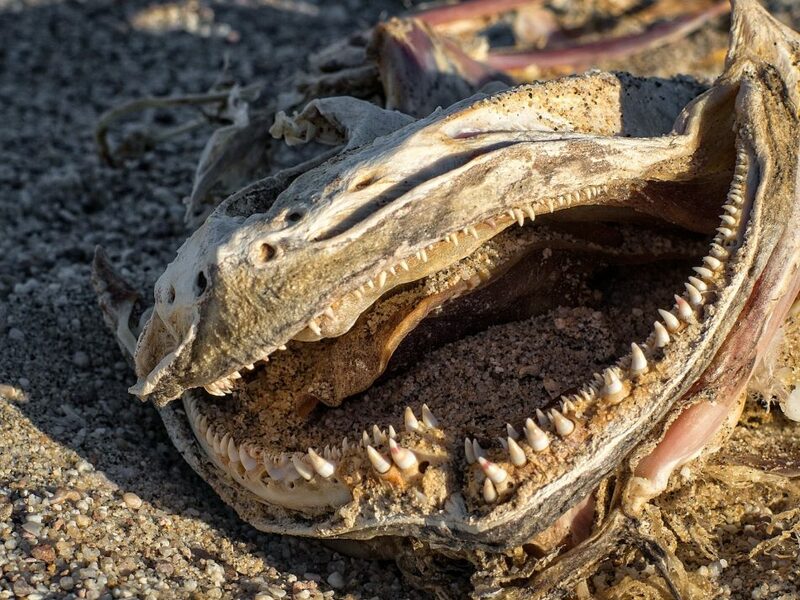 The putrid stench of rotting fish carcasses makes it hard to explore The Salton Sea for very long. Once my tolerance had reached its limit, I jumped back into my car and headed East… fast enough to outrun the smell. Seven and a half hours later I was back, deep in the desert, coming up on a small Western-themed town called Williams, AZ. It was dark when I pulled up to my hotel. I checked in then wandered around the village for about an hour, passing Route 66 shops and Old-West style buildings. Aside from an occasional car starting or coyote howling, it was incredibly quiet. 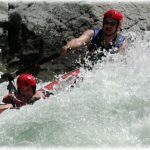 Williams, AZ is the Gateway to the Grand Canyon so it can get hectic during peak tourism times. Fortunately, I was able to avoid that. I had been standing on the shore of The Salton Sea earlier, thinking about where to go next. Encinitas was my last preplanned stop, so any further destinations were just a roll of the dice. I’d opened a map on my phone to see what might be of interest to the East, as that was the direction home, and voila! I’m in Williams, AZ! I woke up early the next morning to begin the long drive up the single road that leads to Grand Canyon National Park. There isn’t much to see along Route 64 other than a Flintstones-themed campground. 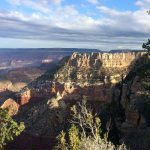 It takes about an hour and ten minutes of high-desert driving to get to the main entrance of the Grand Canyon’s southern rim, but once you’re there, you see why it’s such a big deal. 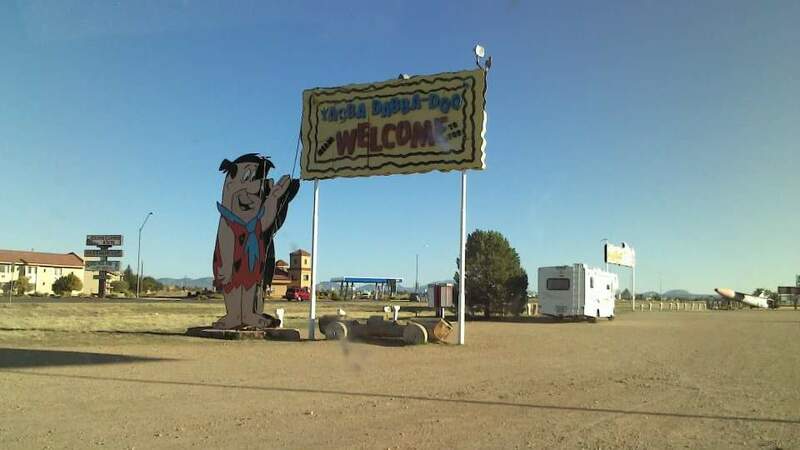 A Flintstones themed campground on Route 64 between Williams, AZ and Grand Canyon National Park. 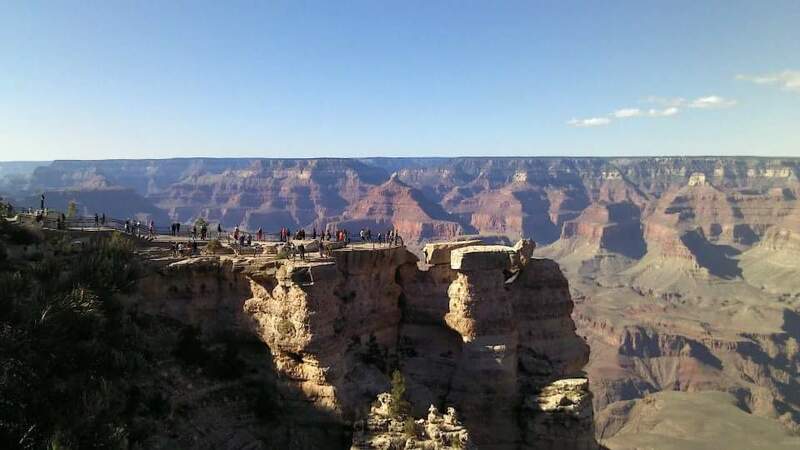 Like so many others, I’d never had the desire to see a “big hole in the ground.” It was never on any bucket-list, and if I hadn’t been within proximity, with extra time on my hands, I would still think The Grand Canyon is overrated. I would be wrong. It is something you need to experience in person to appreciate, but I will try to do it some justice here. It’s a big hole in the ground; we’ve established that. Now Imagine yourself standing at the edge of this hole, thinking about how it is much bigger than you could have possibly imagined. The reddish-brown peaks and canyon walls run down and out farther than you can see. A short distance away you see a large group of teenagers, possibly on some field trip, hanging out and playing on a massive formation that juts out over the canyon like a shelf. The weather is warm enough to be very comfortable in shorts and a T-shirt, but you can see patches of snow in the crevices below. 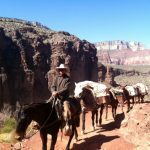 The Grand Canyon continues to be one of the most popular tourist attractions in the U.S. I may have been skeptical at first, but I drove away from The Grand Canyon with a sense of accomplishment and a check on a box I didn’t know I had. It was fifty-nine miles back to my hotel in Williams, then 1,800 miles home. This road trip was complete, aside from the return, but I had already started planning the next one. This article is Part 4 in an ongoing series. 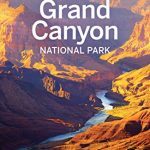 the Grand Canyon continues to be one of the most popular tourist attractions in the nation.